Funko has announced some of their San Diego Comic Con 2015 exclusives, including an X-Force version of the Pop! 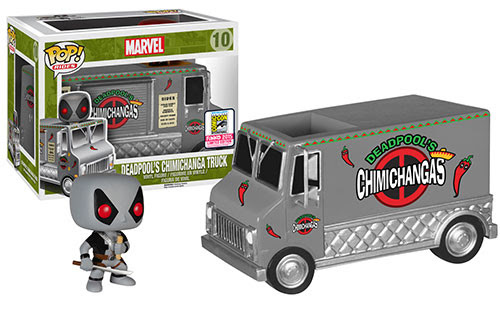 Rides Deadpool Chimichanga Truck. Pricing and quantity at the exclusive haven't been revealed yet.